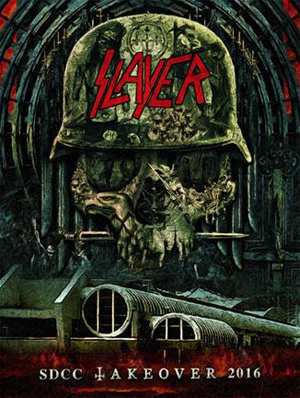 The invasion will prove evil has no boundaries as SLAYER also will execute two very exclusive signings inside the walls of San Diego Comic-Con with a brand new publishing partner, Dark Horse Comics. These signings will take place Friday, July 22, booth #2615, and at the Nuclear Blast Records booth, #501. This is a once in a lifetime chance for fans South of Heaven in San Diego to experience Decades of Aggression at the Altar of Comic-Con. More details to be disclosed soon.